A highly experienced and qualified Nanny in Fairfax County, VA is waiting for your family at ABC Nanny Source! Martha loves working as a Nanny in Fairfax County VA because she loves caring for children in a safe, yet fun way! "I have worked with children for a long time and could not see myself doing anything else. Working with children is my passion. I love to have fun and enjoy outdoor activities such as going to the beach, going to parks, taking walks, etc. If I was asked to describe in one sentence the reason I have chosen to be in the Nanny profession over any other it would have to be because working with children has become my career and I think a Nanny in Fairfax County, VA position is personal, important, and the best fit for me. I have been serving in some form of childcare experience for over 9 years and can honestly say I love what I do! I feel that children are all unique impressionable individuals who need to be properly guided, loved, and treated equally and with respect. My goal as a Nanny is to positively impact the lives of the children and families I serve by going above and beyond their expectations. . I am willing to do housekeeping that includes vacuuming, sweeping, straightening living quarters etc. If I had to describe myself in five adjectives I would say that I am understanding, optimistic, nurturing, hardworking, and adventurous." "Martha has dedicated her life to educating and nurturing children. She has always been attentive to the needs of children! Martha will be great for your family because she has a background in childcare and in education. She has been my close friend for over 11 years. She has participated in many family-friendly activities with my 3-year-old son. She has also helped me on different occasions by caring for my son while I completed personal goals. Martha is very organized and has helped plan my son's 1st birthday party, my baby shower, and she helped me move into my home. She is great at multi-tasking and she is very proficient at what she does. I believe she will excel and build a great relationship with your family." "Martha is well qualified for a nanny position! She has worked as a first grade and second grade teacher in an after school program. As a teacher, Martha exhibited her skills in instruction and helped her students make appropriate choices. She also volunteered to assist with a few school-wide initiatives to better the academic and social environment for our children. She always demonstrated a professional work ethic and worked very well with her colleagues! I am certain Martha will continue to exhibit her outstanding skills instructing and motivating children in her role as a Nanny in Fairfax County, VA for your family!" "Martha was the assistant teacher in the 3-4 year old classroom. She also volunteered and substitute taught in the infant, 2 year old, and afterschool room for our elementary aged students. With each age group she was patient, attentive, and able to create appropriate lessons and activities for the children. She is very aware of the needs of the children and is self-motivated to use her gifts and talents to enhance their learning experience. 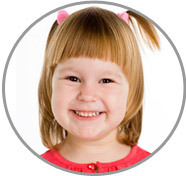 Martha is punctual and she gets along well with parents and teachers and would be a valuable asset to any family! I highly recommend her." "I have worked on various projects with Martha that have required us to work with children in a volunteer capacity. She has great ideas and has always been willing to help out in any way she can. Most recently she assisted me with various, end of the year, activities at local high school. I know that Martha’s education and experience would make her a qualified Nanny in Fairfax County, VA! She has experience with bilingual and special needs children as well. I recommend her highly and believe she will excel with any family!"